Shaving acne-prone skin is tricky. Unlike skin that isn’t broken out, skin with acne is in a more vulnerable and delicate state. And because there are different kinds of pimples and skin types, what irritates or helps one person may not for the other. In any situation, the best thing you can do is to introduce the least amount of bacteria, not cause irritation, and make shaving as comfortable as possible on the skin. To find out more helpful tips for shaving with acne, keep on reading. We want to curb the number of bacteria and dirt from one area of skin to another. So cleansing pre-shave with warm water will prep the skin. We know normally squeezing a pimple isn’t recommended. But if you have a ​whitehead that’s almost oozing, it’s better to pop it correctly before cleansing to get rid of the contents. The razor won’t be the doing the breaking and introducing bacteria to itself and then other areas of skin. Softening skin and hair will make them pliable so there's less tugging and pulling when shaving. When there's little to no pulling on the skin, it equals less irritation and trauma. This is especially helpful ​in areas that may already be in an aggravated state. In the shower let the steam and warm water do the work by working the razor after you've been in a couple of minutes. If your routine is at the sink, place a warm towel on facial hair for a few minutes pre-shave to soften. Prior to shaving, go in circular motions with a shaving brush and shaving cream or gel to help lift facial hairs up so that they're cut blunt instead of at an angle. This creates less chance of ingrown hair and razor bumps. Note: This step may not be suitable for severe cases of acne or if it encourages any irritation. Be sure to use the right kind of brush for your skin type. Watch out for multiple blades. 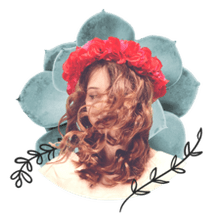 They give a close shave—but more friction—and it’s often too much especially on a severe case of acne because the skin is constantly undergoing cycles of healing. Instead, use a single quality blade that has a pivoting head or opt for an electric razor. You may not get the smoothest shave in the world like a manual multiple blade could provide, but a shave that doesn’t last as long makes up for less trauma. Unwanted bacteria is not a friend to acne. A razor can harbor dead skin cells, leftover product, and bacteria that a quick rinse under the water doesn’t remove very well. Interestingly, these culprits also dull the blade before its time. So not only will you save money being able to use a blade longer removing them, you’ll have less chance of skin irritation and encouraging the pimple problem. While shaving, regularly rinse the manual blade. Afterward, thoroughly rinse on all sides, shake off the water, clean with an alcohol wipe, and store outside the shower because water and moisture also lessen a razor’s life. For a quicker way that sharpens blades by cleaning giving it a longer life, try the Razor Pit. If you favor an electric razor, follow the directions from the manufacturer for cleaning. If at all possible, avoid passing the razor directly over pimples. This can break whiteheads causing the bacteria to spread and easily invade the freshly shaved skin. Even if a pimple doesn't have a head, any kind is almost always red and inflamed and the razor can irritate the area, causing bleeding and scarring. For the least amount of tugging on hair, which comes from the hair follicle and where pimples form, shave with the grain of the hair. Of course shaving against the grain or direction of hair growth provides a closer shave, but pulls more on the skin and can annoy an already compromised condition creating more irritation. Shaving exfoliates skin and zaps moisture, so it may be throwing off your skincare routine. Anyone fighting the war with acne knows that there’s a delicate balance of exfoliating and moisturizing needed. The dead cells have to be taken away, but too much exfoliation can cause irritation and encourage more oil production. The skin shouldn’t be too oily or too dry as the imbalance can throw skin into a breakout or make it itchy and flaky. The best way to cut back on shaving is to skip a day in between shavings. However, if you're not able to due to personal preference or your job situation, try to at least give your face a rest on the weekends. Any ingredients you put on your skin may be a friend or foe. 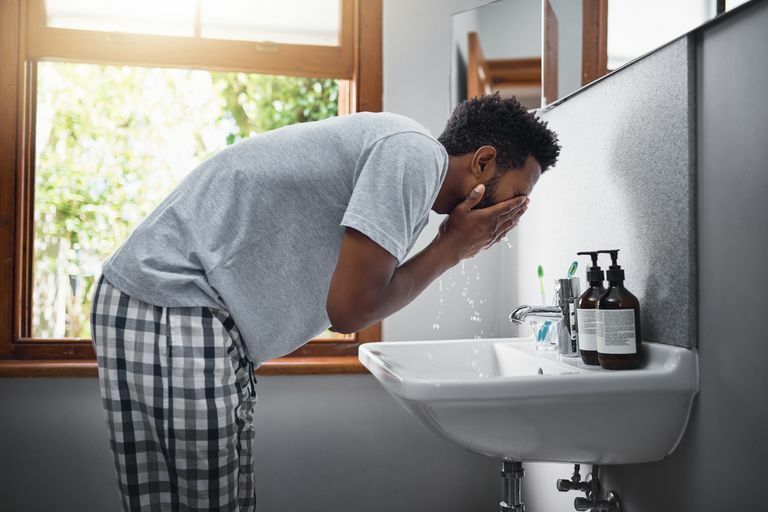 While there are different skin types, the severity of acne and triggers, it's important to look at the labels of the products you're using to shave. What will be of more help than harm will depend on your personal skin type.